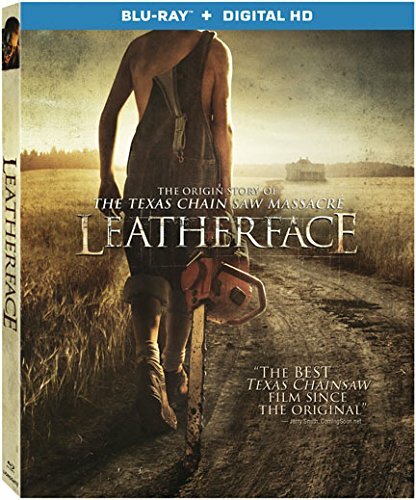 The origins of the infamous Texas Chain Saw Massacre are finally revealed when Leatherface arrives on Blu-ray™ (plus Digital), DVD and Digital December 19 from Lionsgate. The film is currently available On Demand. Starring Stephen Dorff as a vengeful Texas sheriff and Lili Taylor as the Sawyer family matriarch, the legendary monster gets his mask after three asylum inmates escape and leave a blood-soaked trail. From French filmmakers Julien Maury and Alexandre Bustillo (Inside), the Leatherface Blu-ray and DVD are loaded with never-before-seen special features, including deleted scenes, an alternate beginning and alternate ending, and will be available for the suggested retail price of $21.99 and $19.98, respectively. This entry was posted on Tuesday, November 7th, 2017 at 5:49 pm	and is filed under Film, News. You can follow any responses to this entry through the RSS 2.0 feed. You can skip to the end and leave a response. Pinging is currently not allowed. « The Blood In The Snow Canadian Film Festival Promises Fun and Blood!